The 17th edition of the elite chess tournament - Aeroflot Open for players with elo 2550+ is held in Moscow, Russia from 19 to 27 February 2019. Its a 9 round Swiss tournament. The event is sponsored by Aeroflot and organised by the Russian Chess Federation in cooperation with the Association of Chess Federations. Time control: 100 min. for 40 moves, followed by 50 min. for the next 20 moves and 15 min. till the end of the game. 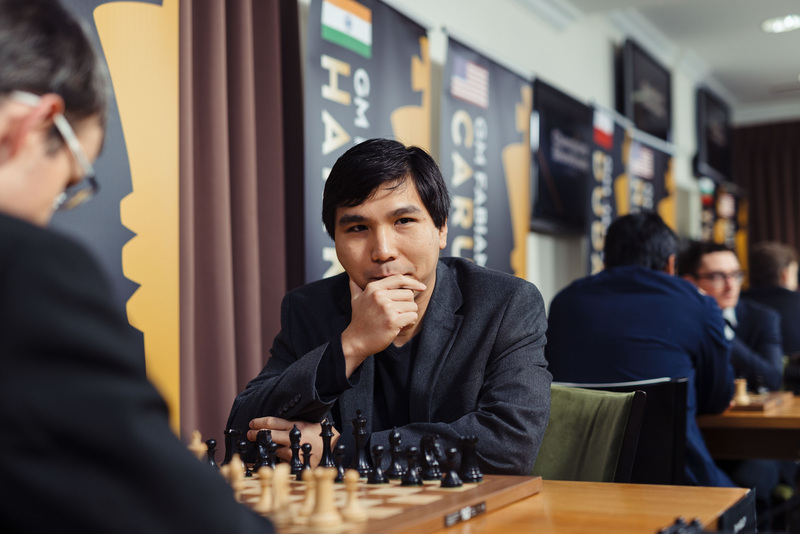 Watch the games of the Aeroflot Open 2019 with computer analysis LIVE on ChessBomb. The Final of the 83rd Bulgarian Individual Chess Championship is 9 rounds round robin tournamentq held in Kozloduy, Bulgaria from 26th February till 6th March 2019. 10 players take part in it. Alexander Delchev (ChessBomb Plovdiv), Vassil Spasov (Shumen 2005), Emil Mladenov (Slivnitshki geroi, Slivnitsa), Kiril Badev (Maritsa Iztok Radnevo), Krasimir Russev (Abritus Razgrad), Momchil Nikolov (Abritus Razgrad), Nikolay Vassilev (Slavia Sofia), Radoslav Dimitrov (Abritus Razgrad), Spas Kozhuharov (ChessBomb Plovdiv) and Tsvetan Stoyanov (ChessBomb Plovdiv). Watch the games of the 83rd Bulgarian Individual Chess Championship 2019 with computer analysis LIVE on ChessBomb. 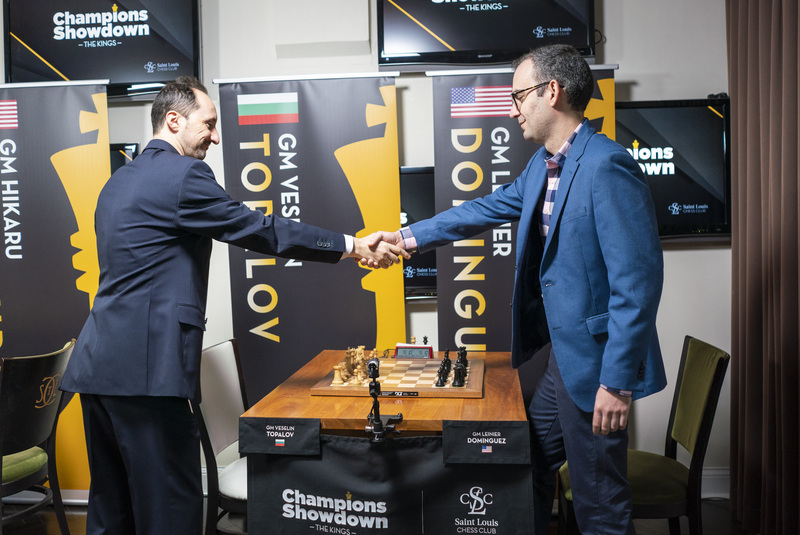 The 2019 edition of the Champions Showdown will feature five unique matchups between top world players, as well as up-and-coming chess stars. 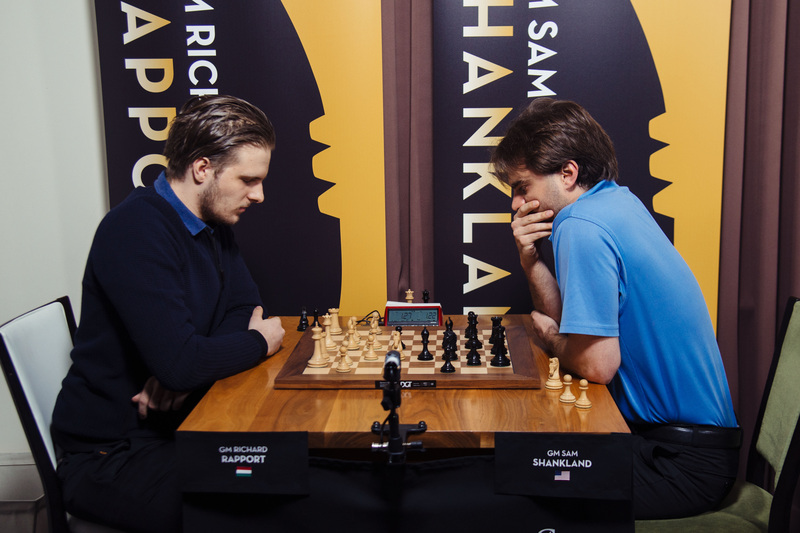 Five U.S. players have chosen opponents from around the world and will face-off in a head-to-head format with three days of rapid play and two days of blitz play from February 20 to 24, 2019 at the Saint Louis Chess Club. In the end, $300,000 in prize money will be divided with each winner receiving $36,000 and the opposing player receiving $24,000. 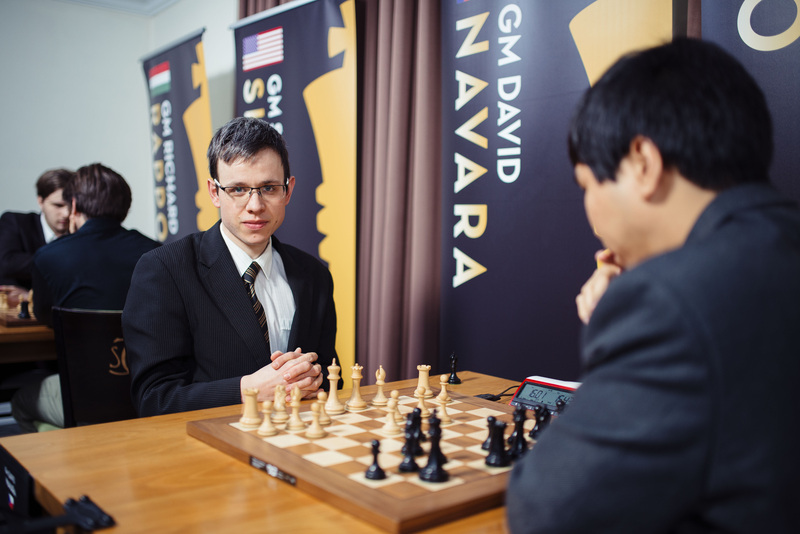 Each round will start at 1 p.m. CST and be broadcast live on uschesschamps.com. 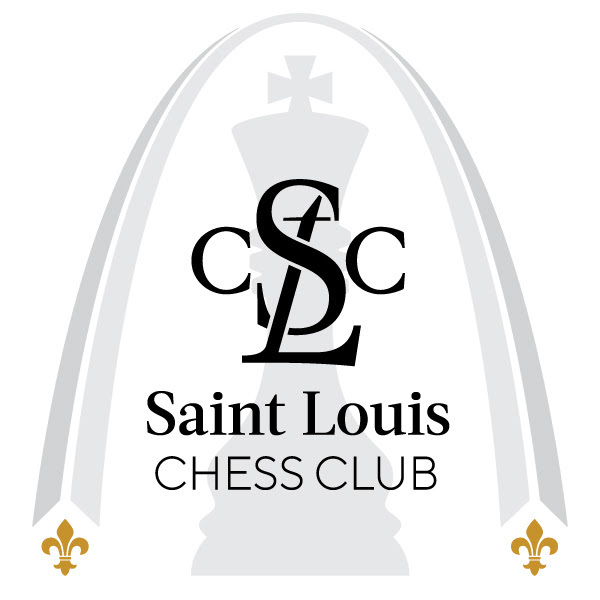 Fans can follow the expert commentary of GM Yasser Seirawan, WGM Jennifer Shahade, and GM Maurice Ashley each day or visit the Saint Louis Chess Club to catch the action in person. 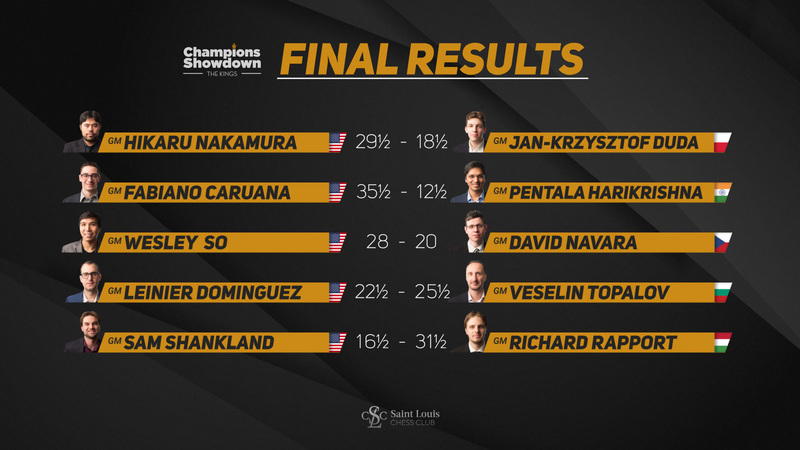 Watch the games of the Champions Showdown 2019 with computer analysis LIVE on ChessBomb. 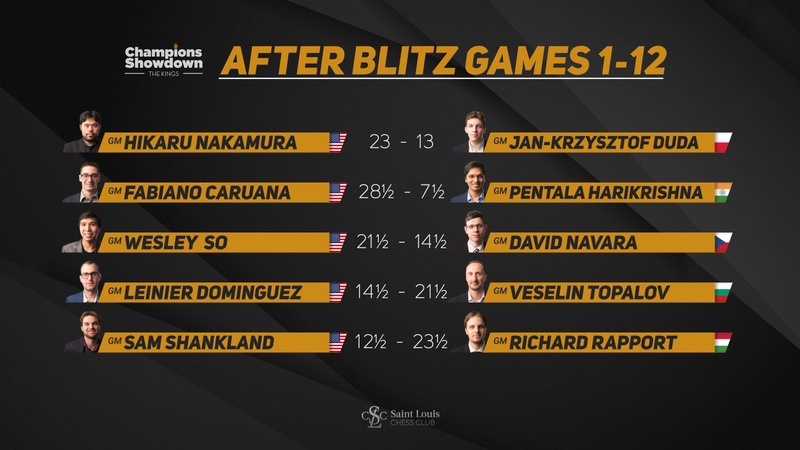 With the rapid portion of the matches in the books, 12 games of blitz were in store for the players. Today brought everything one would expect from such a hectic day: blunders, flagging and a lot of fireworks across the boards. 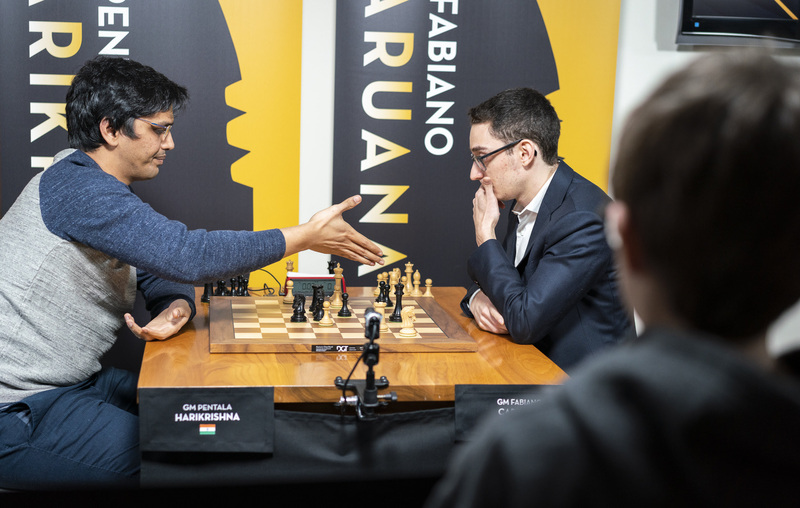 There were no big shake-ups in the standings, as the leaders either maintained or extended their leads, with Caruana already clinching the win. Even with the matches being one-sided, tomorrow promises to bring a lot more excitement and entertainment for the fans! This has been the most lopsided matchup of the event with the latest World Championship contender clinching the win today. 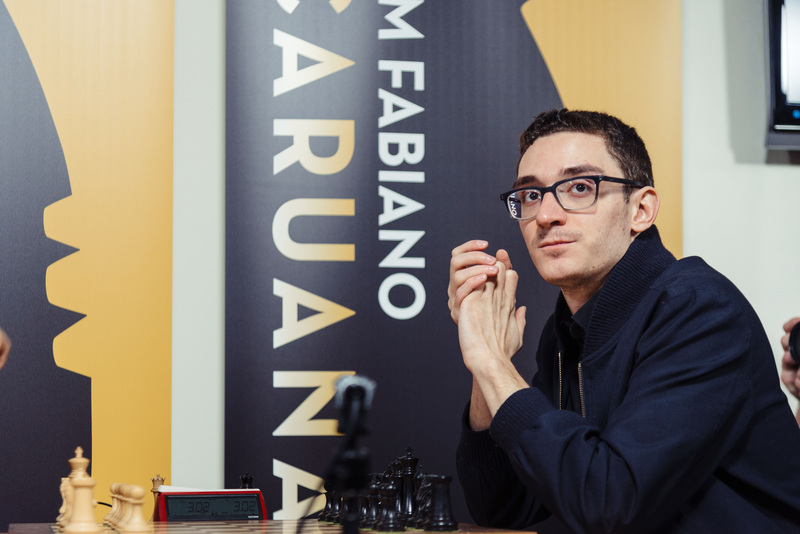 Caruana entered the day with a commanding lead and needed to score 6.5 points in the next 24 games to seal the deal, which he managed to do in 7 games. 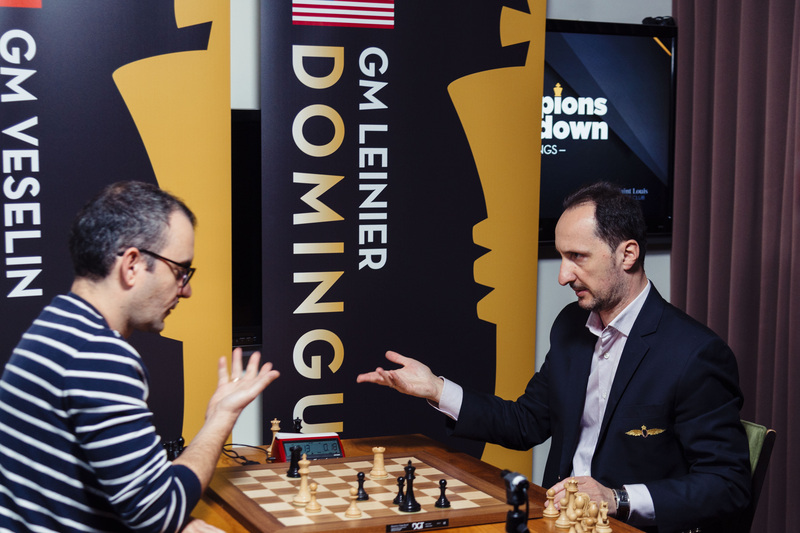 During his interview, Caruana explained that he hasn’t been getting winning positions out of the openings, but once the games get complicated things tend to favor him. This is in no way surprising, as handling complex positions is one of his main strengths. He scored a total of 10.5 points today, only stumbling once in game 9 where he blundered a queen in an already hopeless position. They will play out the remainder of the match tomorrow. It was a close fight between these two players, and while the Czech ended up with plus one on the day, Wesley’s lead going into the final day is still quite massive. All the games were combative and went down the wire, but the youthful American has overall gotten the better of his more experienced opponent. 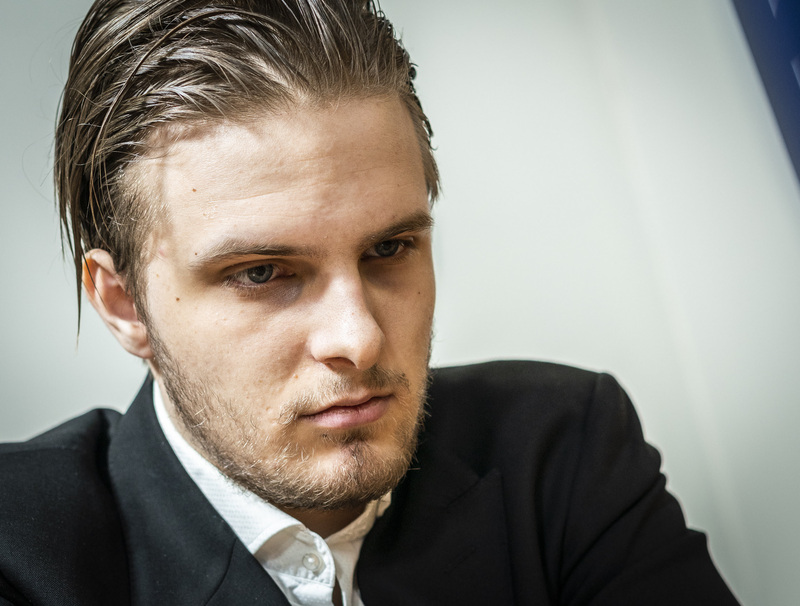 It is no surprise that Wesley is the superior player in these time controls, having won several editions of the rapid and blitz in the Grand Chess Tour. Navara finished the day with 6.5/12, but it only decreased his opponent’s lead by one point, not making his chances to even out the match much more realistic. The American will only need to score 3 points in the next 12 games to seal the deal. 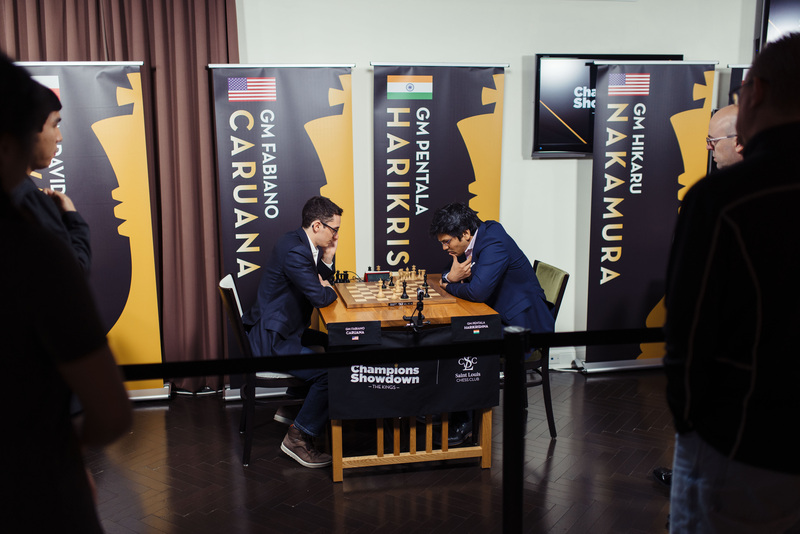 The Grand Chess Tour winner had the second most dominant performance of the day, just behind his olympic teammate Caruana. Entering the day, this was the most competitive matchup, with only a 4 point gap between the players. At the end of the day, Nakamura only needs 1.5 in the next 12 games to win the match. 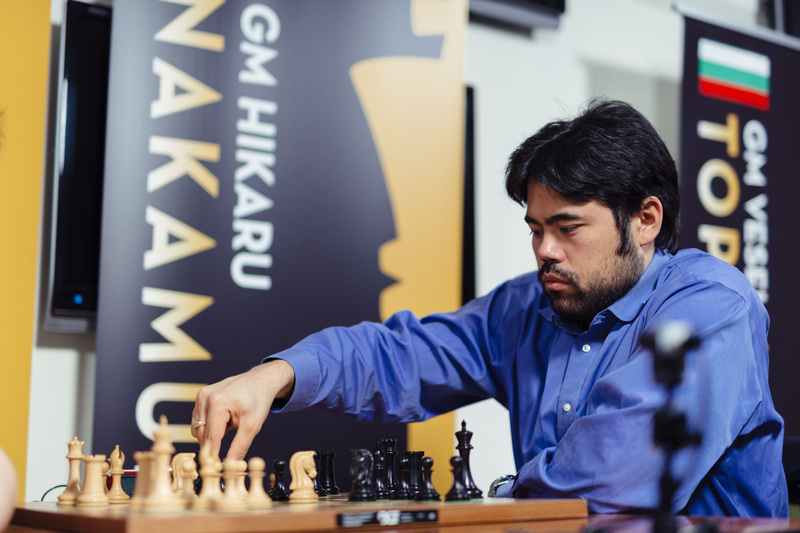 Many of the games were extremely complicated and could have gone either way, but Nakamura’s lightning fast skills during the critical moments couldn’t be matched by his less experienced opponent. 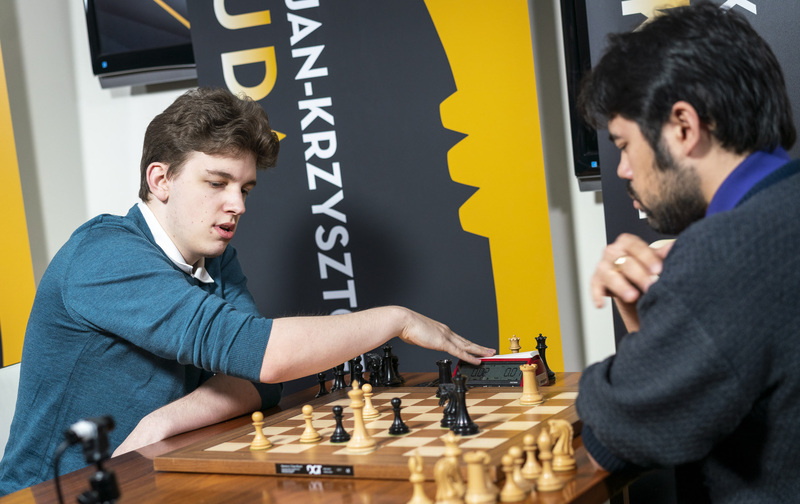 The creative player that he is, Duda tried to create some complications in the final game, but seemingly forgot that his knight was pinned and couldn’t join the attack. The score of the match does not reflect how combative the games were, and certainly we can expect more of the same tomorrow. 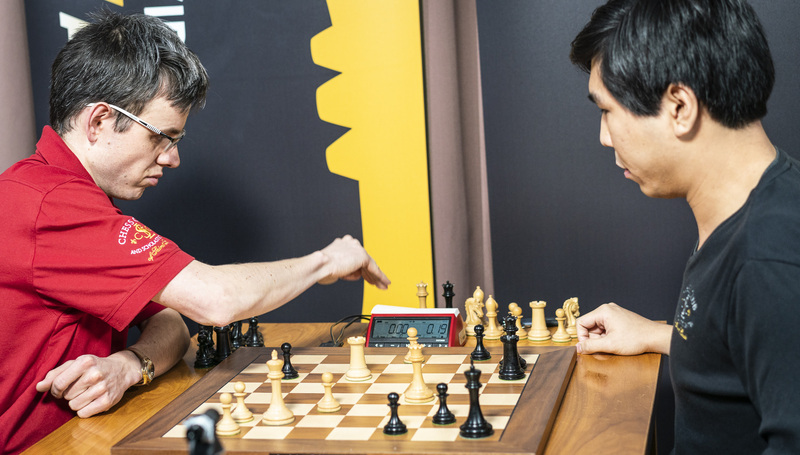 Compared to the rapid portion, the former World Champion had a somewhat modest showing today, scoring 6.5 points out of 12, which widened his already existing lead by a point. This was one of the most balanced matches of the day, and had the least number of decisive games. The players made a total of 7 draws, only 2 less than the number of draws in the rest of the matches combined! 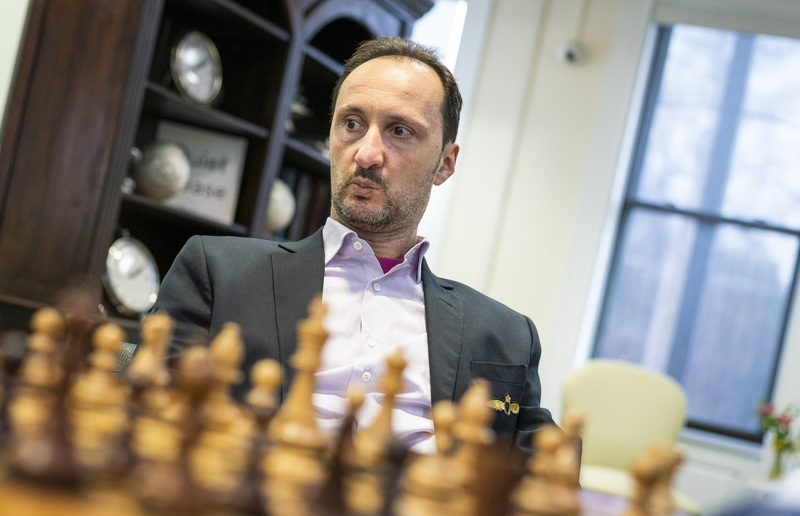 Topalov started the day strong, scoring 3 victories in the first 4 games, thus increasing his lead by 8 points. The two losses that came later did not make much of a dent in the score differential, as he still has a commanding lead going into the final day, only needing three more points to clinch the match. 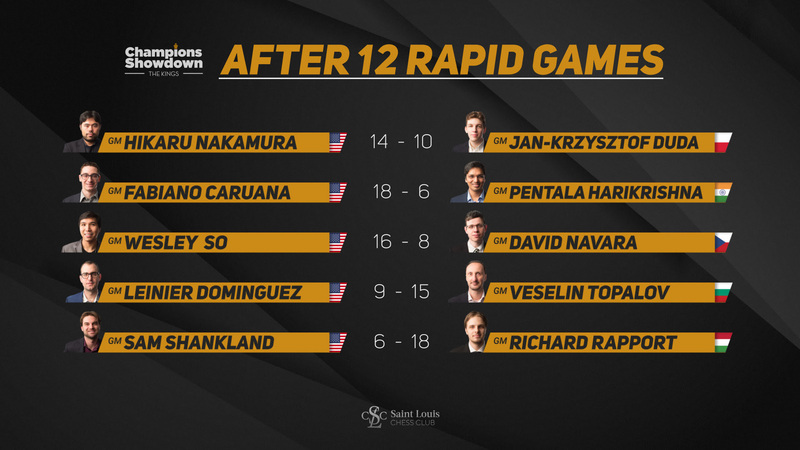 Today was a good day for the US Champion, who made up for his abysmal start in the rapid games by ending the first blitz day with a plus score. 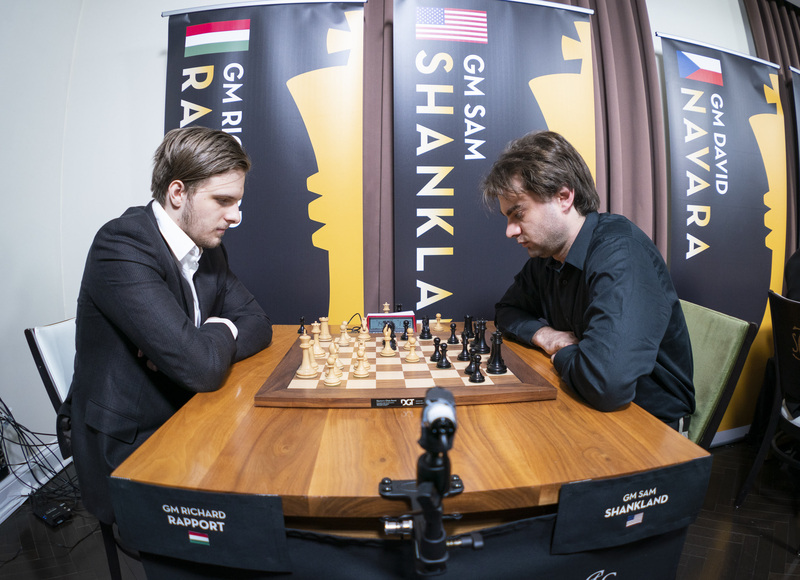 Unfortunately, it wasn’t nearly enough to make up for his lopsided defeat in the rapid portion, and he’s still far behind Rapport in the match. Shankland stayed technically in contention by scoring in the last game and joked that he is going to win the remaining games and the match without playoffs. He went on to explain on a more serious note that one always needs to keep their head in the game and due an increased number of rapid and blitz events, this is a part of the game that he needs to work on. Going into the final day, the Hungarian superstar only needs one point out of 12 games to win the match. 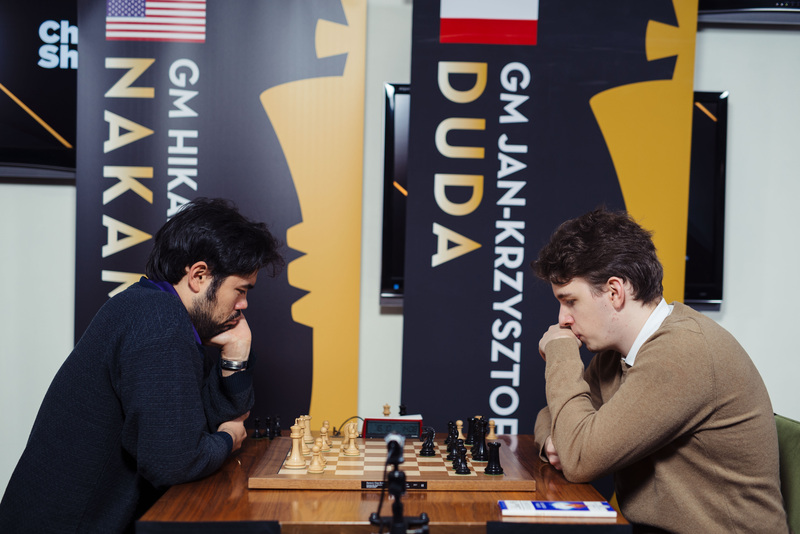 Regardless of how it finishes, we can definitely expect a lot of fighting chess tomorrow from these two!